The next part in extremely popular The Witcher series will be released this year, but together with it the fans may wait for the adventure project, based on the same universe. Yesterday The Witcher Adventure Game was announced and got its first detailed trailer. The Witcher Adventure Game is a project for tablets, based both on Android and iOS. 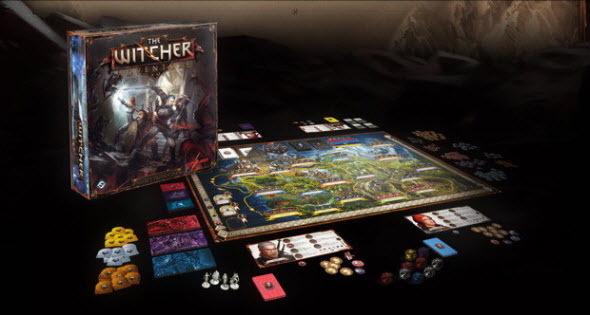 It will be created by CD Projekt RED and Fantasy Flight Games and will feature four well-known characters - Geralt, Triss, Dandelion and Yarpen. In this board game you will be hunting monsters, solving puzzles and passing various quests. The project is coming in 2014, but the exact release date hasn't been announced yet. Are you interested in The Witcher Adventure Game or is it better to play the traditional action-RPG? Would you like to buy this brand-new product? Your comments are always welcomed at the bottom of the page.